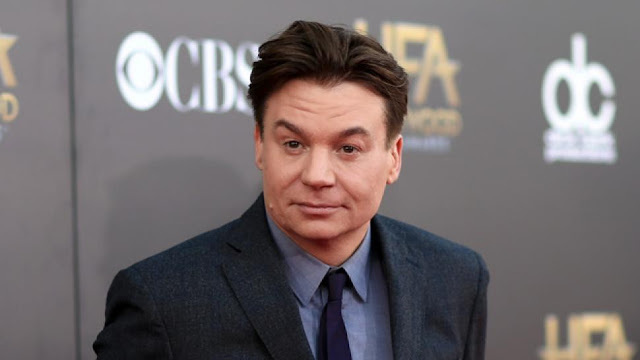 Actor Mike Myers is currently starring with Margot Robbie in the film “Terminal,” and after about a five-year break from films, it looks like he’s here to stay. In an interview with People, Myers says he’s having the “happiest time” of his life raising his three kids, but that even they are eager for him to get back into movies, specifically as his character Austin Powers. The “Saturday Night Live” alum, who turned 55 on Friday, last played the British spy in 2002′s “Goldmember.” Myers said it was his son Spike who asked him if there was going to be a new Austin Powers movie. “I’d like to,” he told his son. Myers resurrected his Dr. Evil character on “The Tonight Show” in April, having recently been fired from President Donald Trump’s cabinet. Apparently, even Dr. Evil wasn’t evil enough for the Trump administration. Earlier this month, Myers appeared on Jimmy Kimmel, performing as Trump’s physician Dr. Harold Bornstein, and he killed it.